When the theme for August’s Clandestine Cake Club in Bolton was announced as The Nutcracker (ie contains nuts), my chocoholic brain immediately tuned to thoughts of Nutella. 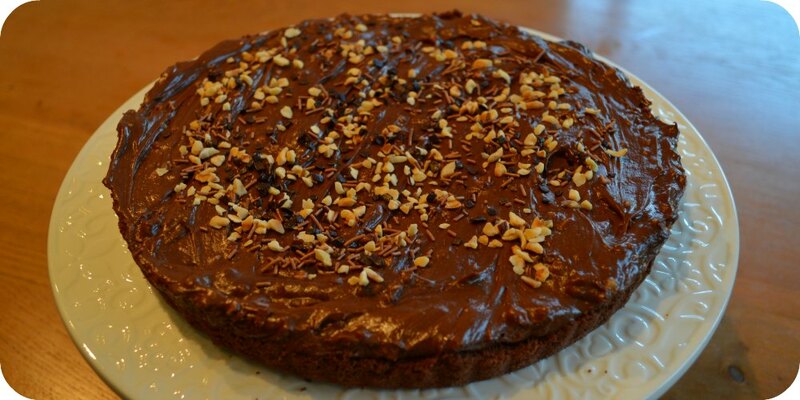 Initially I thought about enrobing my favourite Nigel Slater chocolate hazelnut cake in Nutella buttercream, but it seems like sacrilege to such a lovely cake. Then I started to think about cheesecake. There are a lot of Nutella cheesecake recipes on the internet and all quite similar: lots of extra sugar (Nigella for example), cup measurements (grrr, how messy must it be to measure Nutella into a measuring cup and then scrape out again?) and/ or with something American called whipped topping which seems to be frozen ready whipped cream with added sugar (like this beauty). So I decided to ditch the cups and weird frozen cream and make it ‘proper’ with grams and real cream! None of the recipes I saw used chocolate Philadelphia cheese which seemed like a no brainer, so I decided to give it a go. It’s a funny ingredient. I had never tried it before. It’s both tangy and chocolaty. I shouldn’t like it, but I kinda do! Most of the recipes had more cream cheese in than I used, but this is the size of tub the chocolate Philly comes in so I decided not to be wasteful by using just a bit of another tub. I think this is why it takes so long to set. 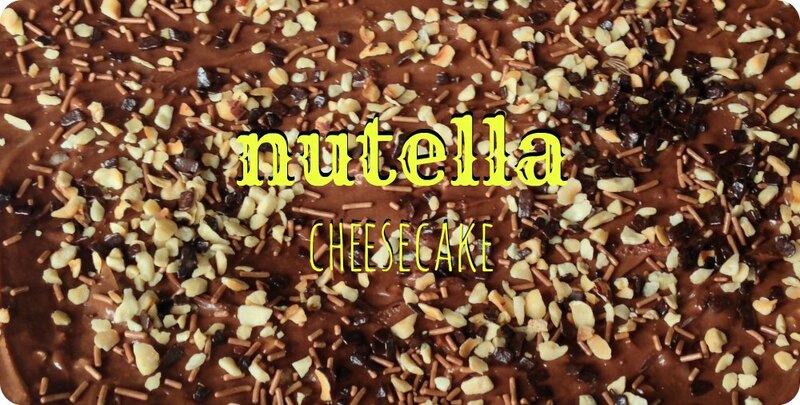 It’s less cheesecake, more nutella cake with cheese! My first attempt had a ginger nut base, the second was bourbon creams. Both worked- the latter is ideal for chocolate purists but the ginger helps cut through the intense chocolate hit of the filling. Follow your heart and use your biccie of choice. A work in progress- this is what it looks like before it sets! It most definitely didn’t need any extra sugar and I used what I think was the minimum about of butter in the base. Of course when you look at what’s in the filling, a few grams of butter isn’t really going to make a difference, but every little helps! It’s not for the feint hearted. Even the most hardened cake clubbers only managed a slither. It is perfect served with a glass of milk. Getting up close and personal with the cheesecake! Leave in the fridge to set. This doesn’t set hard like some mixes so give I find it needs a good 24 hrs to be able to cut without making a pigs ear of it! Serve in slithers with a cold glass of milk and a bill of good health! Cor!!! 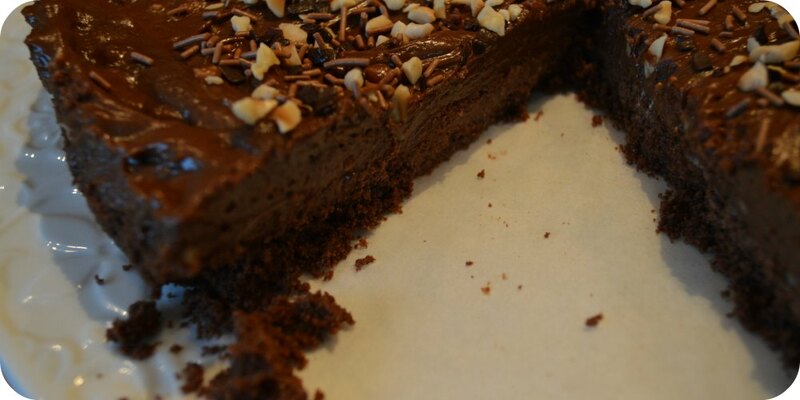 That sounds lush – a mix of cheese, chocolate and hazelnuts has got to be a good thing.